LLMC has introduced pictorial material on its site to provide valuable historical context for some of its featured collections. 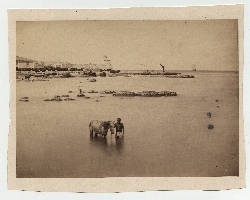 The initial selection of images provided historical background and context for our emerging Cuba Patrimony Collection. Our second offering is a Guest Appearance of selected portions from several slide shows appearing on the Inner Temple Library on the web site. It is intended, in the first instance, to call attention to the steadily increasing number of texts being offered on LLMC-Digital from the Inner Temple Library’s exceptionally rich Manuscript Collection. A secondary purpose is to illustrate the story of how this great library has persevered through adversity over the centuries in our common mission of preservation. More slide shows are in preparation. 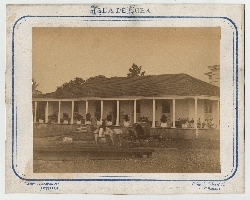 We will soon offer an array of appropriate historical photographs to provide useful historical context for our world-class Haiti Legal Patrimony Collection. In addition, Guest Appearances are being arranged to illustrate the deep collection-building and preservation contributions of two more of our great Legacy Libraries, the New York Law Institute and the LA Law Library. Suggestions and contributions for other pictorial presentations are most welcome. This selection of vintage photographs, graciously made available by Mr. Ramiro Fernández of New York City, is offered on LLMC-Digital to provide historical background and context for our emerging Cuba Legal Patrimony Collection. Cuba is a very young country. In fact, the period of Cuba’s most significant development parallels the evolution of photography since its invention in1826. This happy coincidence means that photographs can be found to illustrate most of the important eras of Cuba’s history. Of course, recorded history in Cuba goes back to Columbus’ landfall in 1492. However, during the first three centuries of Spanish rule the Cuba colony was a backwater. The single noteworthy historical occurrence in the first century after Columbus was the near total extinction of the native Taino people due to decimation from introduced infectious diseases and hardship under the Spanish encomienda system. In the following two centuries Spain’s imperial attentions were focused on the more promising opportunities for plunder and colonization in central and southern America. Modern Cuban history began with a boom in sugar production. It began in the late 1700s, but blossomed as Cuba came to dominate the trade following the loss of the world’s leading plantations in San Domingue during the Haitian revolution, 1791-1805. With an explosion in Cuban plantings post-1800 came a massive increase in the import of black slaves from Africa and the other Caribbean islands. This was followed later in the century with the less numerous introduction of Chinese indentured labor. Both ethnic groups still figure prominently in the life of modern Cuba. While most of Spanish America seized independence in the 1820’s, Cuba remained loyal. It soon became Spain’s most profitable colony. A first major move toward Cuban independence came during the Ten Years’ War, 1868-78, when an independent government was formed. That effort failed when the United States declined recognition. One motive may have been that annexation of an independent Cuba would appear awkward, since U.S. policy ever since President Polk had aimed at buying Cuba from Spain. As the price of regaining control in 1878, Spain promised greater local autonomy. In practice it tightened the control from Madrid. When guerilla warfare inevitably returned in the mid-1890s, Spain doubled its repression. Strings of blockhouses were built across narrow parts of the island to help monitor guerrilla movements. Suppression escalated in the last half of the decade under the governorship of General Valeriano Weyler. He earned the scorn of most of the world with his introduction of reconcentrados, precursers to the 20th Century’s concentration camps. Up to 400,000 Cuban civilians reportedly died of starvation and disease in these camps. In response to this and other horrors, public sentiment in the U.S. shifted heavily toward supporting Cuban independence. In 1898 a mysterious explosion sank the U.S.S. Maine in Havana Harbor. That provided sufficient excuse for a war, which the U.S. won quickly and decisively. Spain ceded Cuba in December of 1898, and four years of U.S. military occupation followed. Nominal Cuban independence came on 20 May 1902. But the U.S. retained the right to intervene in Cuban politics as it believed necessary, and to supervise Cuba’s finances and foreign relations. Through the Dawes Amendment to the independence treaty it also annexed a portion of the island, Guantánamo Bay, as a military base in perpetuity. The supervision of Cuba’s political life led to a second U.S. occupation during 1906-1909. Subsequently the U.S. influenced Cuban affairs with a somewhat lighter hand, preferring to exercise what control it felt necessary in alliance with a succession of pliable strongmen; most notably Gerardo Machado (1924-33) and Fulgencio Batista (1933-44 & 1952-58). Economic inequality, widespread unemployment among youth and peasants, political persecution, economic regulations that favored some groups disproportionately, and perceived official corruption, led to widespread dissatisfaction, particularly in the growing middle class. The air in post-WW II Cuba was full of revolutionary sentiment. Although they failed in a coup attempt in 1956, rebels led by Fidel Castro took their guerrilla war to the mountains and eventually gained the upper hand. They entered Havana in early January, 1959, forcing Batista into exile. The popular revolution was initially viewed positively in the U.S.. But Castro’s subsequent legalization of the Communist party and execution of hundreds of Batista followers, soon soured relationships. This led in April of 1961 to an attempted, albeit proxy, Third American Invasion at the Bay of Pigs. That failure, and the subsequent “cold war” between the U.S. and the Cuban government, has been the dominant factor in Cuban civil life in the half century since. 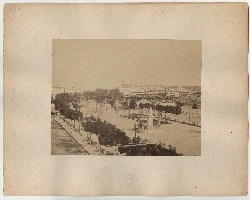 Ramiro Fernández is a collector of vintage Cuban photographs, images captured over the course of a century, from the 1860s to 1965. His collection, which includes more than 3,000 separate works, is considered to be the most extensive private collection of Cuban photography in the world. This selection of photos, originally assembled for the book I Was Cuba by Kevin Kwan, shows over 300 of these photos, from the famed rumba dancers of the 1950s, to the Havana polo team of 1915, to the hardscrabble farmers of the late 1800s. This is a visual feast of street scenes, portraits, cityscapes, rural panoramas and historical snapshots. Assembled over the past three decades, the collection spans more than one hundred years of photography and is unique in its focus on the unusual and the vernacular. The I WAS CUBA formatting showcases these exceedingly rare images in a bold visual narrative “dream journey” that weaves together the history of the island with biographical elements from Fernández’s life. Fernández first began to collect at the suggestion of his grandmother, who foresaw the coming turmoil and urged him to collect images of a Cuba that was fast disappearing. He began the collection in 1981, when he was working a temp job at the Museum of Modern Art in New York. There he met an art dealer who showed him some vintage Cuban pictures. 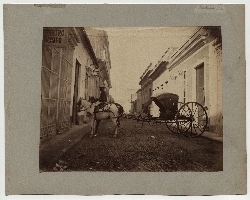 He was especially taken by the work of Jose Gomez de la Carrera, a noted photojournalist from late 19th-century Cuba, and purchased an album of 20 photographs printed in the vintage-era technique that used an egg-white emulsion. As a witness to revolution in his youth, Fernández's consuming passion has been to build a collection that can serve as a testament to the lost Cuba he still remembers. This captivating sampling from his vast collection is an intimate view into a bygone era of glamour, political upheaval, and astounding visual culture. This selection of photographs, from among hundreds appearing in slide shows on its web site, has been graciously loaned for appearance on LLMC-Digital by the Inner Temple Library. It is being offered in this assemblage to provide background and context for LLMC’s emerging collections of manuscripts in digital format, which are derived from the Inner Temple Library’s renowned and extensive Manuscript Collections. (See the descriptive catalog by Conway Davies, LLMC No. 09109.) In addition, it is hoped that this pictorial presentation will serve as an object lesson illustrating how the Inner Temple, along with others among our great legacy law libraries, has persevered through adversity over the centuries in our common mission of acquiring and preserving our legal patrimony. Little is known of the Honourable Society of the Inner Temple before 1500, its records prior to 1505 being either lost or destroyed. Its Library in 1506 consisted of a single room, which was also used for overflow diners from the Hall and other purposes. This shared housing was considered adequate, since the collection was very small and was probably shelved in a few close presses. As was common in those days, and as still persisted in some libraries into our times, books were shelved in the order of acquisition. Over the next century and a half the library grew only modestly. In fact its limited space probably led in 1654 to what Conway Davies called “the greatest loss which the Library of the Inner Temple ever sustained.” This was the failure of the Bench to accept the manuscripts and printed books of John Selden, one of the most distinguished members in its entire history. Perhaps this was just as well, for on 4 October 1666 the Great Fire of London reached the Inner Temple precincts. The first library building was destroyed along with an unknown portion of its manuscripts and books. However, rebuilding followed quickly, and a second library building, modestly enhanced in size, was in use by 1668. However, the recovery was brief, because in 1679 another fire broke out in the Temple precincts and destroyed a number of residences. 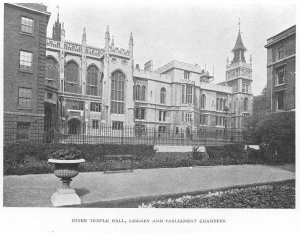 In what proved an unnecessary effort to keep the fire from spreading further, the second library building was blown up by gunpowder; fortunately after most of its contents had been removed. 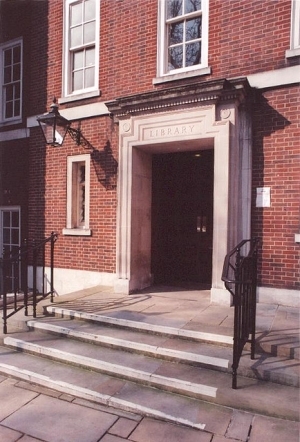 Once again the library was rebuilt, and a third library building was in use by 1680. With the early 1700s came great growth in the quality and depth of the Library’s collections. A seminal event was the donation in 1707 of what became known as the Petyt Manuscripts. (See LLMC No. 09191). William Petyt, who served as Treasurer of the Inn in 1701-02, was a scholar of distinction and an energetic collector of ancient manuscripts. His collection, still intact after more than 300 years, contains 386 multi-manuscript “volumes,” covering a variety of subjects. They include Year Books, Registers of Writs, Statutes, Precedent Books, Commonplace Books, and a long range of Parliamentary Journals, some of which contain entries which were no longer decipherable when the printed versions of the Journals were assembled. Among chronicles there is a 13th century manuscript of Roger de Hoveden’s Historia Anglorum. Among notable manuscripts there is an early 12th century illuminated copy of Macrobius’s Somnium Scipionis and the earliest known Books of Forms in Ecclesiastical Causes. There are also works by Sir Francis Bacon, Sir Robert Cotton, and Sir Thomas Bodley; as well as important original letters from such historical personages as Lord Burghley, Sir Edward Coke, and Sir Christopher Wren. Along with his manuscript collection, Petyt also left a sum of money to construct a suitable building to house them. This was accomplished by constructing a spacious and handsome new “room” as an addition to the two former “rooms” that had been built after the 1679 disaster. The combination resulted in a far larger and grander building, in effect a fourth library building. This, with smaller additions and substantial physical enhancements over time, served to house the collection for the next two centuries. 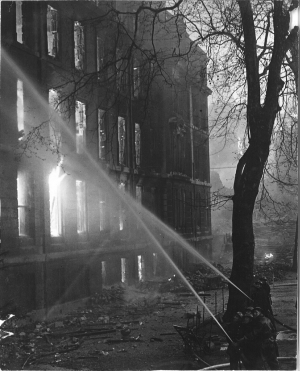 During WW II the Inner Temple Library suffered the last of its many disasters. 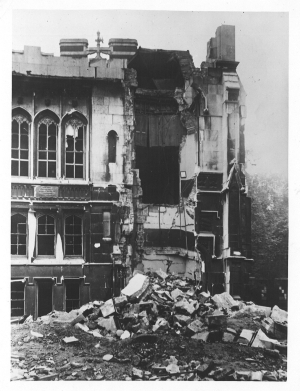 During the “Blitz” the fourth library building, along with a large percentage of the post-1800 imprints, and along with the Inner Temple Hall, the Temple Church, and much else, were destroyed; either by direct bomb damage or by the accompanying conflagration. This time much more was lost because there was much more to lose. However, fortunately for us all, before the bombing began there was time to move all of the manuscripts and the rarest portions of the print collections to safer territory. This, and the fact that the manuscript collection was captured in microfilm format in the 1970s, accounts for the blessed fortuity that LLMC is now able to offer, for the use of researchers everywhere, the texts of the manuscript collections. You may print or download any of this material for your personal use only. You may quote from the texts in material issued to third parties so long as you acknowledge the source. You may provide a link to this presentation on any other website, but apart from this you may not reproduce or store any part of this presentation on any other website without the express approval of the Inner Temple Library. The above permissions do not authorize you to incorporate any part of these pages in any commercial document, or in any material sold or otherwise made available for profit, without the express approval of the Inner Temple Library. All rights reserved © Inner Temple Library 2012.